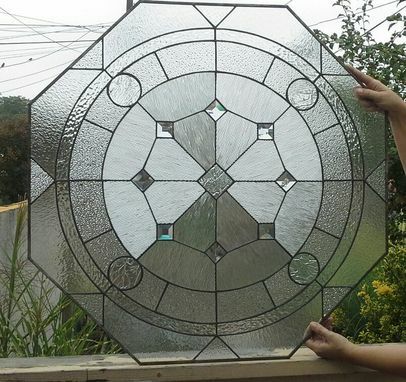 This elegant and original piece can be made as a circle or as an octagon. 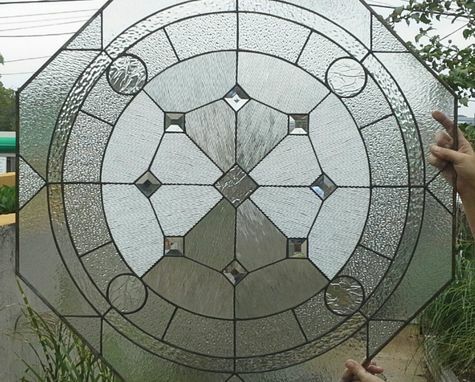 This one was made for a bathroom window and the combination of interesting clear textures provide privacy while maximizing the natural light in the room. 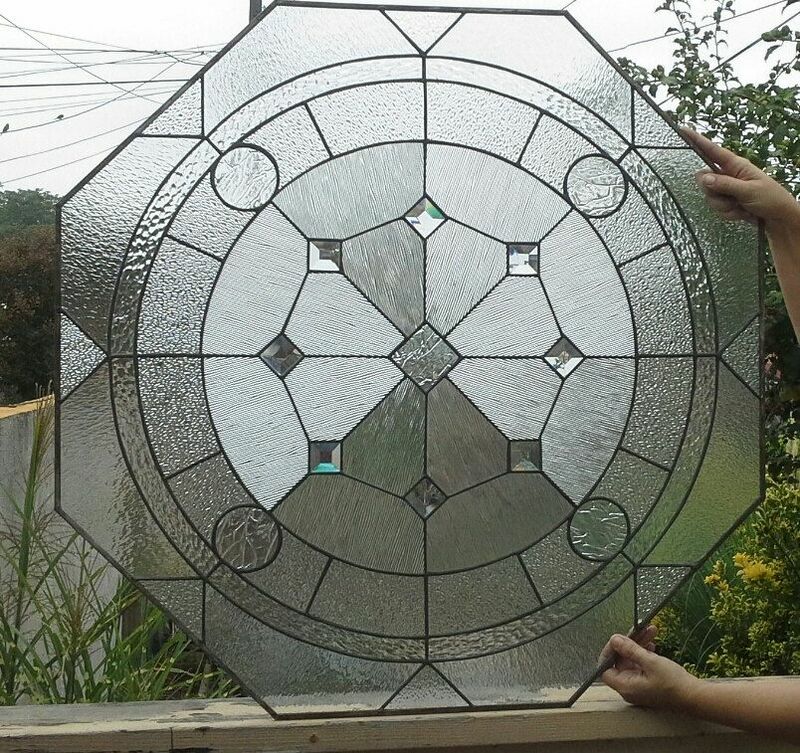 Piece Shown is 28" x 28" but this design can be enlarged or reduced to fit any octagon or round window space you may have. Glass: This one is made with all clear textures and bevels. Center is corded texture all positioned toward the center diamond which is krinkle textured just like the circles. The outer border is subtle hammered, 2nd border regular hammered and the inner border is sparkle. If you are looking for a modern design that provides privacy to your home, you are in the right place!